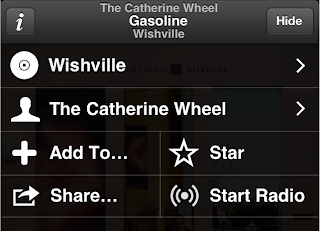 It just interrupts the user experience and doesn't match the model users have when it comes to playlist management. It's much more fun (and intuitive) to add a song to a playlist quickly, in the context, without leaving the screen - 'Hey, this MBV song would be perfect for that Thanksgiving party we're having!' Otherwise, without the contextual option, the song ends, the moment is gone and the party suffers. I always thought this could be fixed by giving the users a fourth contextual option (see mockup) to add the song to a playlist, just like other contextual options (repeat, the seldom used Genius and shuffle) you find when you tap the middle of the screen. 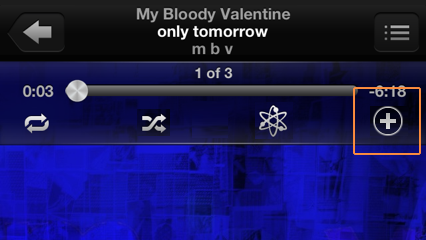 That's right - Apple has always had other options for songs but decided to leave the Playlist option out of the equation. 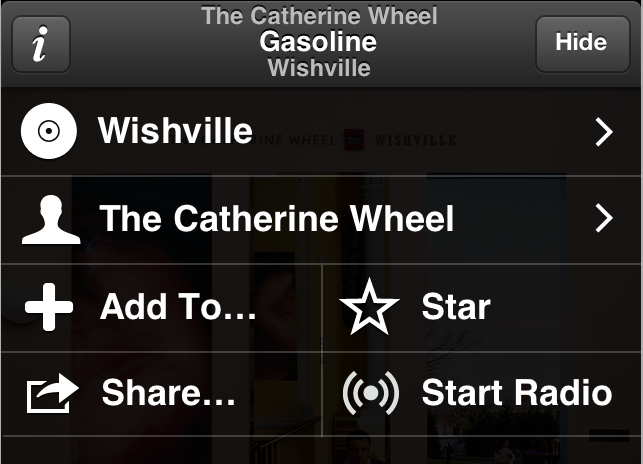 From here, users could quickly add a song to a playlist or create a new one, without the unnecessary navigation. I hope Apple adds this functionality soon - although the beta version of iOS7 doesn't address this. Until then, it can be done - just not very easily.